How to Use Coffee for Cellulite? Get 3 Recipes! If you are female, finished puberty, reading this text, you should feel lucky if you are not affected by cellulite! According to different studies, around 90% of women suffer it, to some extent! Call it orange peel or cottage cheese; cellulite is an unpleasant phenomenon, which we know soon or later will most likely reach women! But we have solutions to reduce its negative impact🙂 One of them is connected with coffee. 1. What causes cellulite, and why it has such a universal spread? 2. 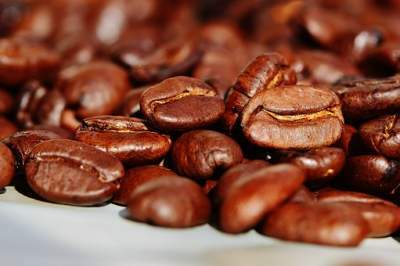 What are coffee properties, that can oppose cellulite? 3. How to utilize coffee to get rid of cellulite or to reduce it, with homemade recipes? 4. How to recognize good anti-cellulite creams on the market? Simply put, cellulite appears when the connective fibers between the muscles and the skin, start weakening. This is the moment, when fats move close to the surface, reshaping it into lumps. Is cellulite only female issue? By the way, while it’s true that cellulite is predominantly a female issue, still 10% of the cellulite cases belong to men. Typically, the most affected areas are buttocks, legs, abdomen. But for the sake of truth, it is the women who have to fight this problem, due to a reason, hidden in the female structure reason, which I will reveal to you later in the text. Typically, overweight could harm our health a lot! But there is a misunderstanding that overweight women are more likely to have cellulite. And a simple calculation can refute that statement: while almost every woman suffers cellulite, not all women are overweight, but they have cellulite, as well! Will losing weight help us getting rid of cellulite? Not necessarily! It will improve other health indicators, and make us feel better. It can reduce cellulite bumps, but don’t take it for granted! It could be a disbalance of hormones, like estrogen and insulin, to cause cellulite. Another clue why women are cellulite-prone leads to the female underskin structure of straight fiber strands, that connect the skin surface and the muscles. The male structure of the strands is crisscrossed, which makes them hard to weaken and to allow appearing fat lumps on the surface, causing cellulite. This could further explain why cellulite is a mostly female issue. Stress, unhealthy diet, not drinking enough water, sedentary regime, sun exposure, smoking can pile up on the first two factors and lead to (severe) cellulite. When the body is not supplied with good food and enough water, the blood will not circulate properly in the body. Fat cells start bunching up. If we don’t care about our skin, it becomes less elastic, and fat bunches can appear on the skin surface easily. Well, we have to admit, it is not entirely in our scope to oppose cellulite. From the three major factors, we can (almost) fully control, lifestyle only, while the first two are somewhat external. We are not so unprotected, as it may sound. Although cellulite is considered a normal condition, this doesn’t mean we don’t have arguments to respond. There are natural remedies, which we may use, to get rid of cellulite or reduce its effect (depending on how bad the situation is). Coffee is such a solution. Coffee is a plant with legendary status worldwide. Who knows what would happen, if all of a sudden coffee disappears for any reason? There are two primary species – Coffea Robusta and Coffea Arabica, that give us the valuable coffee beans! Caffeine is a core substance of the coffee. Drinking coffee stimulates and refreshes the brain activity. But my word today will be about coffee benefits for the skin. 1. Caffeine. Maybe the most popular drug worldwide. It is the central stimulant in coffee. It helps to release dopamine, which is the hormone of happiness! But most important, caffeine sends direct signals to the fat cells, telling them to break down fat. 2. Chlorogenic acid. It seems to reduce blood pressure and maybe has an anti-inflammatory effect. It is an antioxidant, as well. It slows down the absorption of carbohydrates. 3. Lipids. They are esters of fatty acids. In coffee, we can find mainly esters of unsaturated linoleic fatty acid. It is omega 6 fatty acid, which is a powerful antioxidant, fighting free radicals. You can meet linoleic acid in many carrier oils, like sunflower oil, grape seed oil, argan oil, olive oil, peanut oil, etc. Coffee is right for your skin and a big enemy of cellulite! It’s like a skin tonic! It facilitates the release of fatty acids from fat tissue, enhances the metabolism, and keeps your blood sugar low! 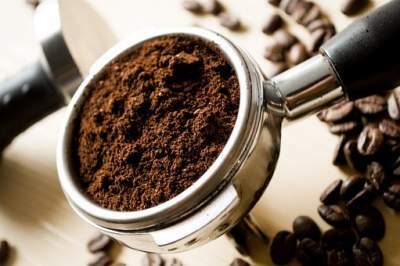 Do coffee grounds help cellulite? You bet! 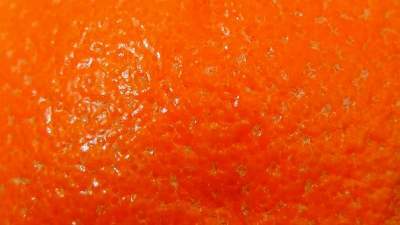 Coffee grounds is what you can precisely use at home for cellulite, to stimulate your (potential) orange peel areas. How to use coffee for cellulite with DIY recipes? I will share with you three recipes that you can quickly prepare at home. You need 7 teaspoons coffee grounds, 1 teaspoon honey, 1 teaspoon olive oil. When you drink coffee during the week, collect the grounds in a container with a lid. When you have enough of it, mix it with the other ingredients. Before applying the recipe, you can take a hot shower, to open the skin pores. Massage the affected skin areas with the mixture. Leave it for 10-15 minutes, and wash the cream. You should be persistent and try to do it every day for a month time, to feel the effect. You need 10 tablespoons ground coffee, 10 tablespoons brown sugar, 1 ripe avocado, 1 teaspoon olive oil. Put all ingredients in a bowl and mix well until you reach a creamy consistency. Massage the cream on affected skin areas. Leave it for 15 minutes, and rinse with water. You need 7 tablespoons coconut oil, 10 tablespoons ground coffee, 10 tablespoons brown sugar, 1 teaspoon cinnamon. Melt the coconut oil, and mix well all ingredients. Rub the cream on affected skin areas. Leave it for 15 minutes, and rinse with water. Put the cream in a container with a lid. Use it every day, or 1-2 times a week, if more appropriate for you. How to recognize good anti-cellulite cosmetics on the market? If you notice coffee or caffeine in the ingredients’ list of an anti-cellulite cream, you already know it is a good sign. Other natural ingredients that could help are avocado oil. sesame oil, shea butter, chamomile extract, vitamin E, beeswax, and many more. It is not only about ingredients, but some other factors, when you pick natural cosmetics. Follow these rules, and you will be fine. 1. Eat healthy food, move more and smoke less! 2. Use caffeine-based anti-cellulite natural cosmetic products! I would love to hear from you! I hope you have a plan, not allowing (or reducing) cellulite on your skin! Leave me a message, and I will answer you! Thank you for one more summer life-saving measure! I have tried creams containing caffeine, but the thing is, you have to do this repeatedly for a long time to see results. Your post motivated me to have one more go and try one of your recipes. Recipe #3 sounds to be the best for me. These ingredients I always have in stock at home. Lucky my husband drinks coffee! How about tea? Is the caffeine in black tea also as helpful for breaking down fat and does it have the same kind of anti-inflammatory effect? Always appreciate your kind and helpful answers. Thank you very much for your comments! Indeed cellulite is very persistent, and very often unbeatable. This fact doesn’t mean we are defenseless. Even reducing the cellulite level could be considered a win and could make us happy! All we can do is to control our lives in a positive direction and to use natural ingredients, like caffeine, which can additionally help us. As for the tea: I believe drinking black and green tea is useful, as it increases the metabolism and fat burn. Tea drinking enhances the immune system, so it is good for viral and bacterial infections, thus having an anti-inflammatory effect, too. Thank you, Valeria, for your helpful answer. I’ll stay with my black and green tea. I think it is due to my high consumption of tea that I can maintain my weight!! Well, I also exercise regularly, so I can allow me yummy ice cream on the weekends! !